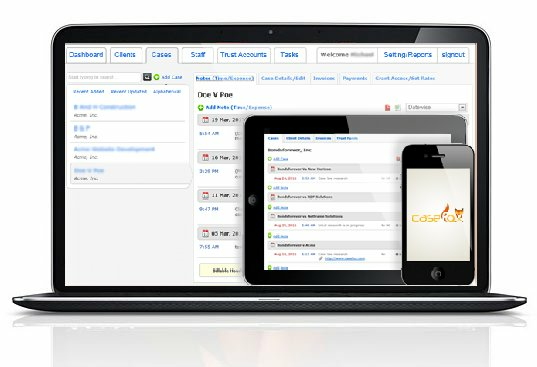 CaseFox Timekeeping Software integrates with Quickbooks Online to seamlessly and securely copy invoices to your Quickbooks account. You can do timekeeping and case management in CaseFox and accounting in Quickbooks. Quickbooks mark and logo are properties of Intuit, Inc.
CaseFox provides best in the class time tracking and case management features and Intuit Quickbooks is the leader in small business accounting. 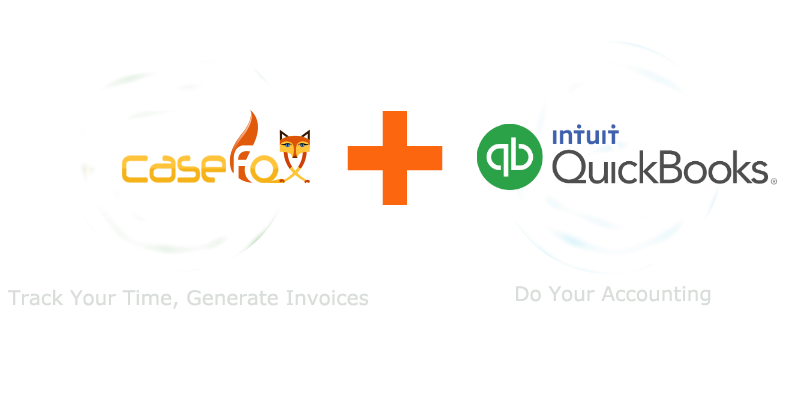 Now track your time in CaseFox and generate invoices for all clients with just one click. Then transparently copy the invoices to your Quickbooks account for managing your firm's accounting. As simple as that. No more wasting time in repetitive data entry. Try it out today. Sign-up for free. Full featured basic account (unlimited clients, up to 4 matters and up to 2 timekeepers) is forever free. Please click on the Features link above to learn more about what CaseFox offers. Please click on the Demo link to watch a five minute video or click on the Tour page to learn how to get started with CaseFox. CaseFox offers highly intuitive and easy to use user interface.